Scoliosis is an abnormal curving of the spine. Everyone’s spine naturally curves a bit. But people with scoliosis have a spine that curves too much. The spine might look like the letter C or S.
Visible effects of scoliosis include twisting or curving of the spine, a high hip or shoulder or asymmetry in the shape of the rib cage. Scoliosis occurs when the muscles that support the spine are of unequal strength; this can be the result of a physical injury (compressed vertebrae, disc degeneration), or surgery (i.e. appendectomy or inguinal hernia or knee replacement) or overuse of one side of the body as opposed to the other. Scoliosis can be caused by vertebral anomalies such as spina bifida occulta or structural anomalies such as an anatomical short leg. Complications of scoliosis can include: breathing problems (in severe scoliosis), low back pain, disc herniation, lower self-esteem, persistent pain if there is wear and tear of the spine. Just plain chiropractic is insufficient to help the patient with scoliosis. X-rays to rule out vertebral anomalies are important and proper measurement of leg length and use of heel lifts for a congenial leg length are very important. Both applied kinesiology and neuro-kinetic therapy are used to discover problems with imbalances in motion and in structure and in muscle strength. One needs to find not only muscles that are weak but also muscles that are strong and compensating for the weak muscles. 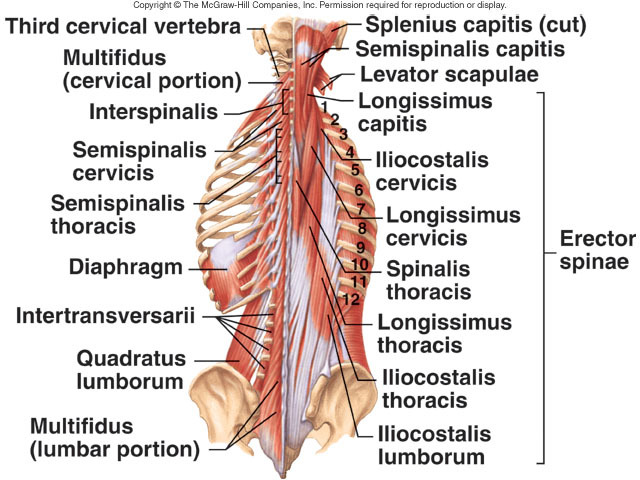 One needs to test not only the large muscles that attach to the spine such as the psoas, latissimus dorsi, quadratus lumborum or trapezius but the deep intrinsic paraspinal muscles such as the erector spinalis and mulifidus that perform ipsilateral and contralateral rotation. Examination and correction of pelvic, sacral and cranial faults are important to insure movement of cerebral spinal fluids thru out the spine and the nerve roots. This entry was posted in Uncategorized and tagged 10011 applied kinesiologist, 10011 chiropractor, 455 W. 23rd St NYC 10011, applied kinesiologist, Applied kinesiology, best applied kinesiologist, best chiropractor, chelsea applied kinesiologist, chelsea chiropractor, chiropractic, downtown manhattan applied kinesiologist, downtown manhattan chiropractor, downtown nyc applied kinesiologist, downtown nyc chiropractor, Dr. Vittoria Repetto, female applied kinesiologist, female chiropractor, http://www.facebook.com/pages/London-Terrace-Chiropractic-Applied-Kinesiology/109622855768202, london terrace chiropractic, manhattan, neuro-kinetic therapy, NYC Applied kinesiologist, NYC chiropractor, nyc sports chiropractor, paraspinal, scoliosis, sports applied kinesiologist, www.drvittoriarepetto.com. Bookmark the permalink.